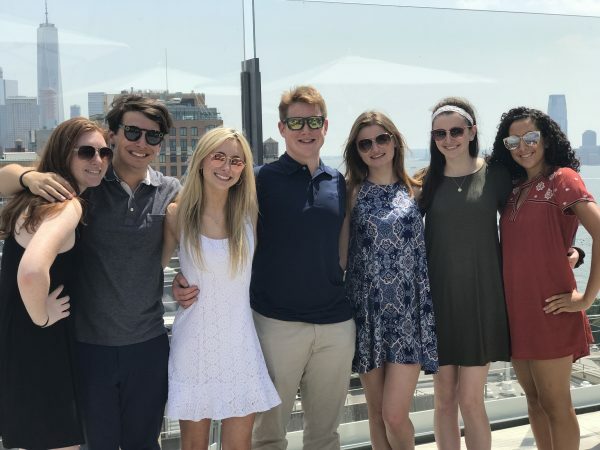 Senior Annie DelColombo (pictured second from right visiting the Whitney Museum of American Art with fellow members of Green & White) is a peer leader, top student and smiling face at many CCHS events. She’s a member of Student Government, National Honor Society, Link Crew (freshman orientation leaders), and Green & White (student ambassadors). And, she has been named a New Jersey Star, providing her with a full-tuition scholarship at any of our County Colleges. 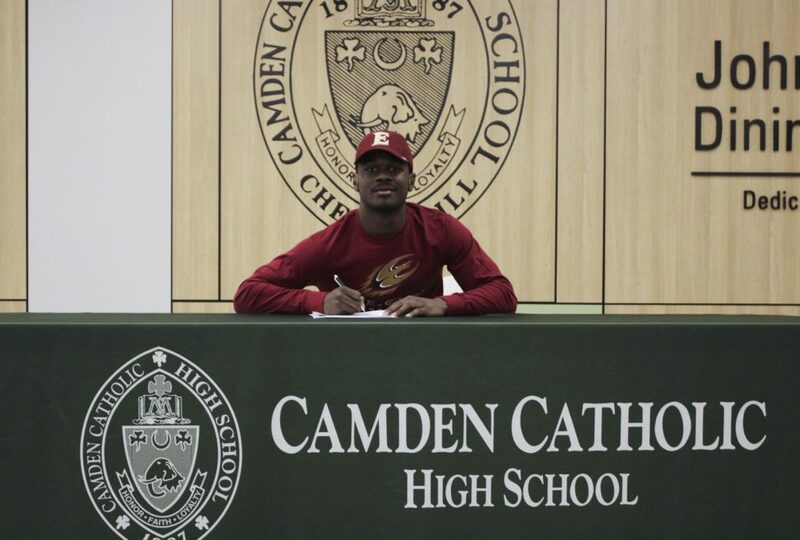 Senior Marcus Hillman (pictured signing his letter of intent in February) is a respected member of the CCHS family, helping to lead the Irish football team to three division championships, a career which will continue next year at Division I Elon University. Junior Pat Corbett has been a member of the CCHS family since birth. His father, Tomas, class of ’79, and grandparents Dorothy, class of ’41 and Patrick, class of ’37, are among the dozens of Corbett family members to have worn the green and white. 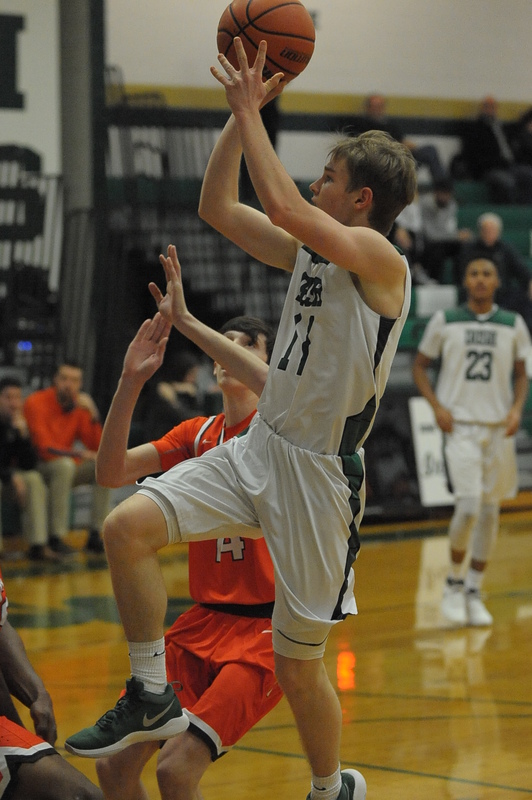 LEADER ON THE COURT: As point guard, Patrick helped lead the Irish to wins over St. Augustine and St. Joe’s Metuchen on the road to their first SJ Basketball Title since 2010. He’s also a high achiever in the classroom and volunteers at the Ronald McDonald House in Camden. 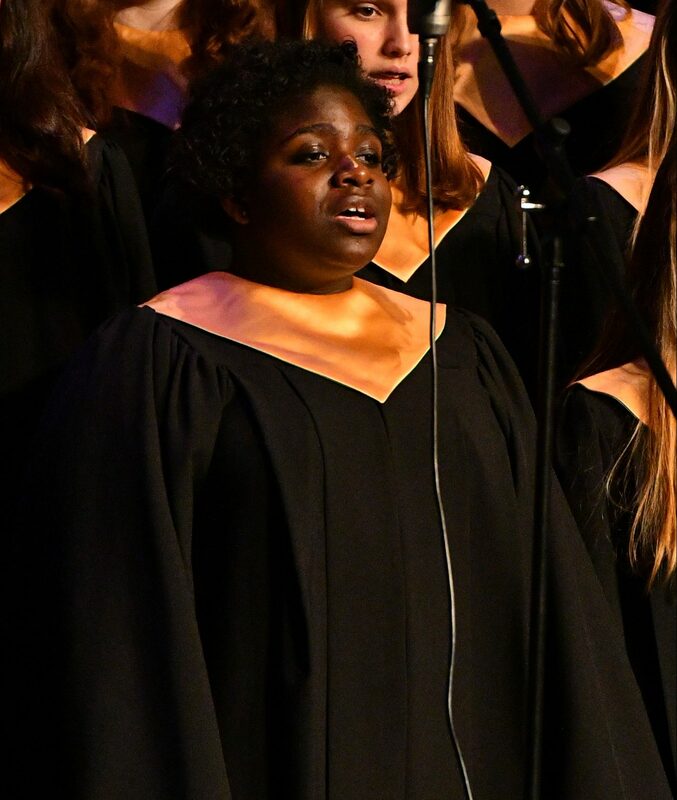 Junior Chidinma Chukwueke (pictured at the annual Christmas Concert) is involved in basically every facet of life at CCHS. She participates in the choir, liturgical choir, spring musical, track, volleyball and student government. Hailing from St. Joe Pro-Cathedral School, Chidinma was also chosen to be a member of the Leaders of Promise program through Urban Promise Ministries. Leaders of Promise includes local youth who receive guidance from trained community-based coaches, to better understand topics around population health, develop leadership skills, and implement self-designed projects to make their communities healthier. Tom Cava (pictured in center at the annual “Manuary” Beard-Growing Fundraiser) is a fixture at CCHS events and activities. His academic achievements are numerous as he’s received over $400,000 in scholarships and grants to LaSalle University, Seton Hall University, The University of Scranton, Ursinus College and York College. 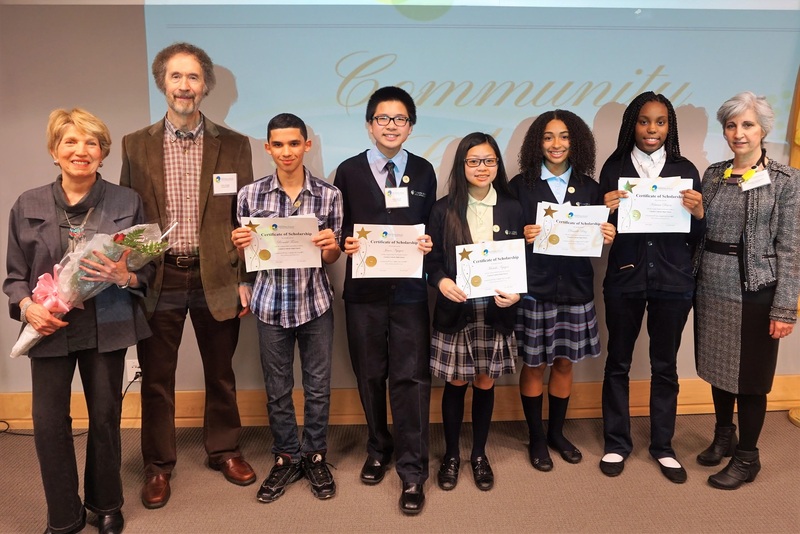 Katrina (pictured at far right at the annual Langan-Nadell Scholarship Awards) is among the students selected for the prestigious Langan-Nadell Scholarship, which she earned after proving herself at Sacred Heart School in Camden. 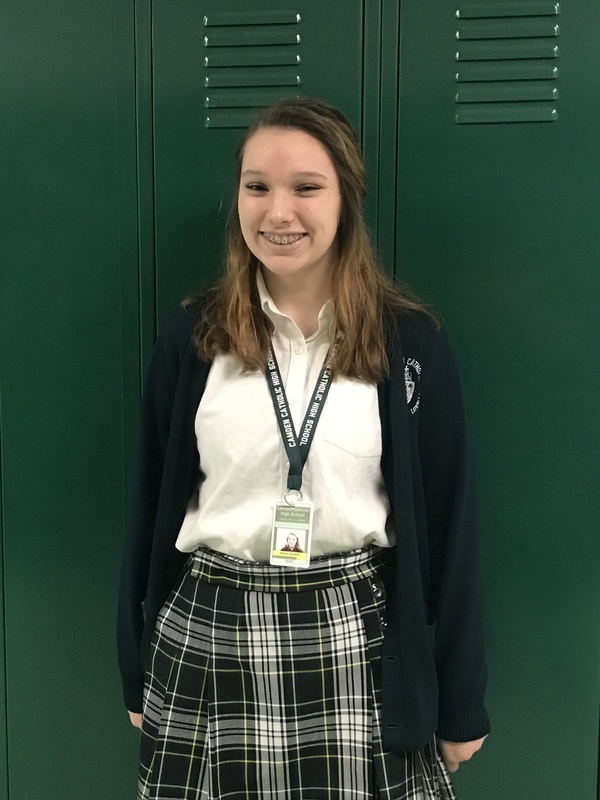 Despite being a freshman, Katrina was primed to get involved at CCHS. She participates on the basketball and track teams and also is a member of Theater in the City and Beats in the City. 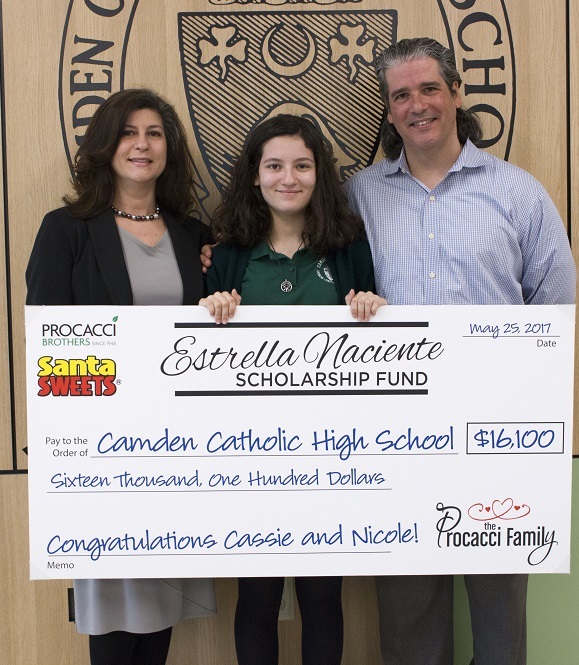 A Merit Scholar, Cassandra was the first recipient of the Estrella Naciente scholarship from Alumnus JM Procacci last year. She participates in a myriad of activities from creative writing, sketch and anime clubs to the spring musical and track. 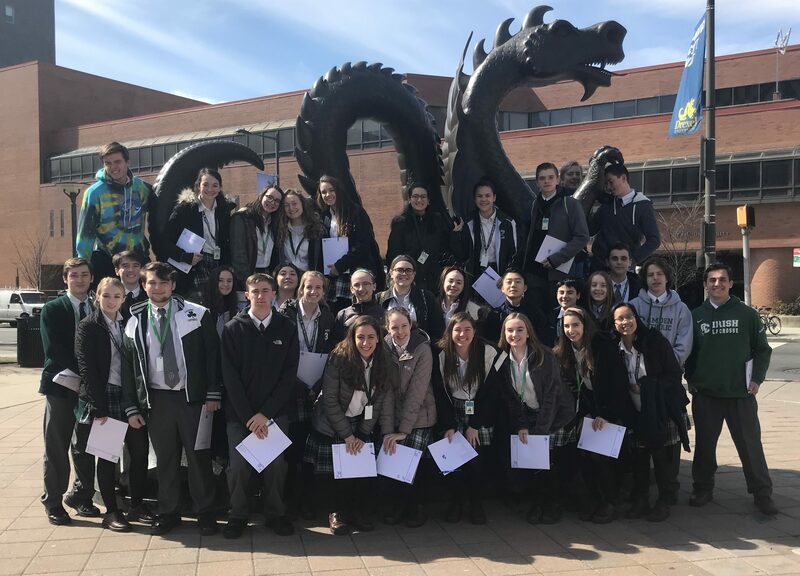 A freshman from St. Joan of Arc, Jack (pictured on a visit to Drexel University with fellow students) is a Cathedral Scholar at CCHS. The Cathedral Scholars program provides guidance for academically gifted students on their journeys through high school. 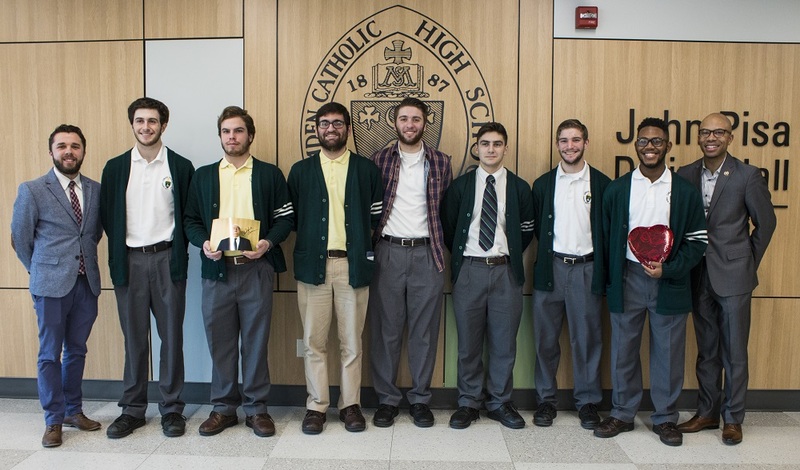 Through individual guidance and academic planning, Cathedral Scholars learn to set goals and work to achieve them during their four years at CCHS. Olivia is a proud third generation Camden Catholic legacy, both her dad Ed ’94 and grandfather Walt ’56 are graduates. She is a multi-faceted student who loves being a part of the choir, and also enjoys swimming and surfing. 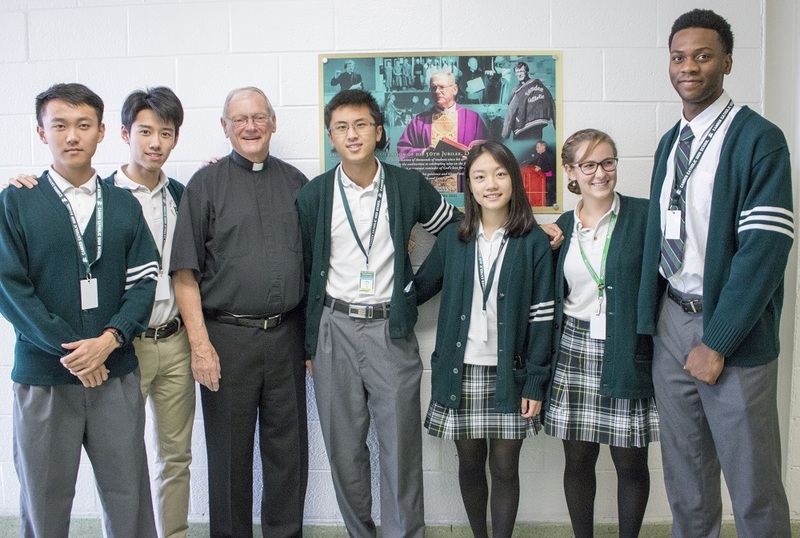 As a senior and one of our international students who reside in the Nazareth House, Tony (pictured here to the right of Monsignor Martin) has grown immensely since arriving at CCHS from China. His list of activities is evidence of his involvement and his success at CCHS. From choir, to the spring musical, Math Club and soccer, Tony has truly enjoyed his time with his Camden Catholic family.